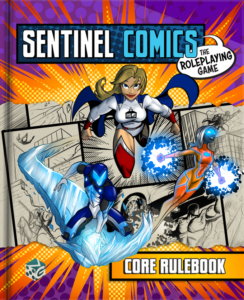 The Kickstarter for the full Sentinels Comics RPG has arrived on Kickstarter. Sentinels Comics is based on the Sentinels of the Multiverse card game universe. As a proud owner of every piece of SOTM, this game really excites me. Even more: The game is designed by Cam Banks, Phillipe Menard and Dave Chalker, good friends of mine who are also the brilliant minds behind the Marvel Heroic RPG system. There’s a few elements of Marvel Heroic hanging out in this system, so definitely check it out. Their system is smooth and easy to pick up and play for anyone, no matter your skill level of roleplaying. I’ve backed this KS, and I encourage you go check it out and back it as well! 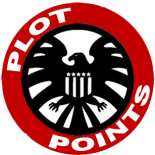 I’ve been working on a review for the Sentinels Comics Starter Kit, so it might be time to get that finished up and posted! How did I miss that?! BACKED! This entry was posted on January 29, 2019 by Mark in News.